This article contains spoilers for The Fate of the Furious. 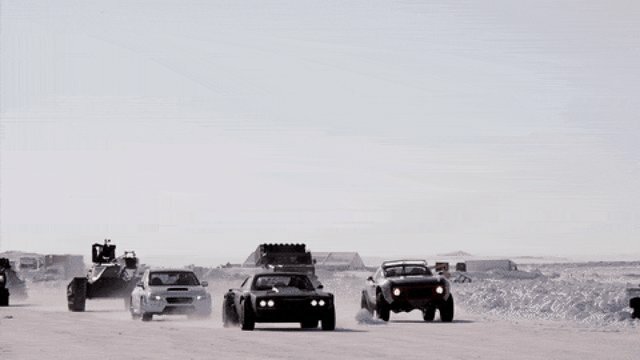 An argument could be made that The Fate of the Furious, the eighth installment of the tire-shredding, car-flying Fast series, jumps the shark -- that is, if by "shark" the arguer means a submarine, and by "jumps the" he or she is literally describing the movie's audacious, improbable climax. 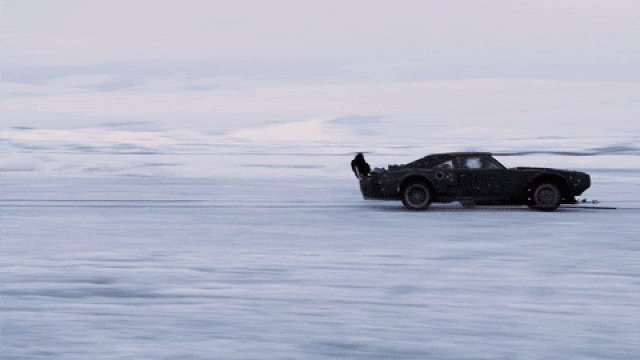 In one of the final beats of the movie, Vin Diesel's Dominic Toretto jumps his snow charger over an ice-slicing nuclear submarine to avoid a heat-seeking missile, which ignites and destroys the enemy vessel. 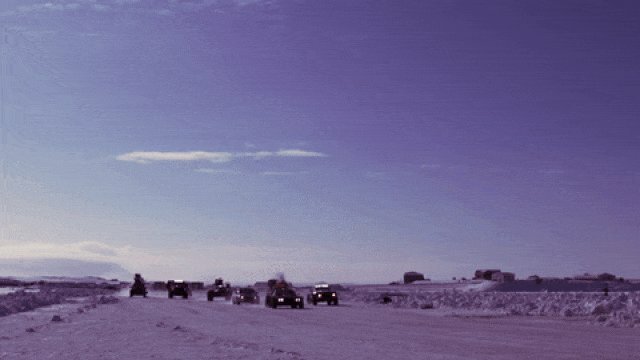 The fiery conclusion caps, even by Fast and Furious proportions, an epic action sequence staged across Russia's arctic plains. How'd they pull it off? We talked with three of the movie's primary stunt coordinators -- Jack Gill, Andy Gill, and Spiro Razatos -- to learn how they shot one of the biggest stunt sequences in the franchise's history. Surprise: It was mostly real. Andy Gill: When we started, it was like, September, and all they had in the script at that point was a 12-page treatment. The only thing in it was an "Iceland Chase." Jack Gill: We scouted a lot of different locations until we found Iceland, and originally we were going to do it on the south side, where they shot the James Bond film [Die Another Day], but we found out that it doesn't freeze long enough for our sequence. A. Gill: I picked Mývatn because of the parameters. It wasn't much, it was only a town of 200. They had three hotels, so we tripled their population. Beautiful place, but in the middle of nowhere. J. Gill: One of the problems we found is that it's incredibly cold there. It's sometimes way below zero. The wind is blowing 50 knots. But that's kind of what we needed. Spiro Razatos: There was always something. The equipment was freezing up on us. 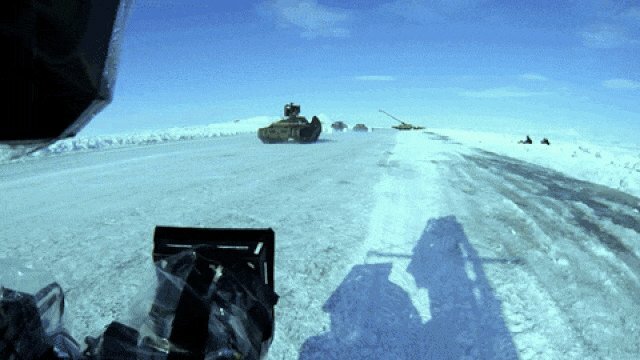 We'd get ready to do a big stunt and the special effects would freeze up on us. Everything you could have imagined. A. Gill: Snow was a problem, even though it didn't snow that much there, but even a half-inch…the director [F. Gary Gray] wanted it to look like ice, so we had Zambonis out there to make it look like ice. They'd pump water to the surface, walk away, and overnight it would freeze and you'd have this crystal-clear, smooth ice. J. Gill: You couldn't run across the same spot four or five times because it created big swaths of ice. All in all, it all worked perfectly for us because this lake was six miles in diameter and we continually worked on different parts of it to make all these sequences. Razatos: [Tyrese] literally couldn't even see. He'd sit there and we had to have hand signals and everything. He was an amazing trooper on that. He didn't like the cold -- he made sure we knew that. But he did it, and did it as many times as he had to do it. He even offered to stay another day if he had to. Razatos: Visual effects said we'll put in a torpedo, and I said I want to at least try it with a real prop as a torpedo. 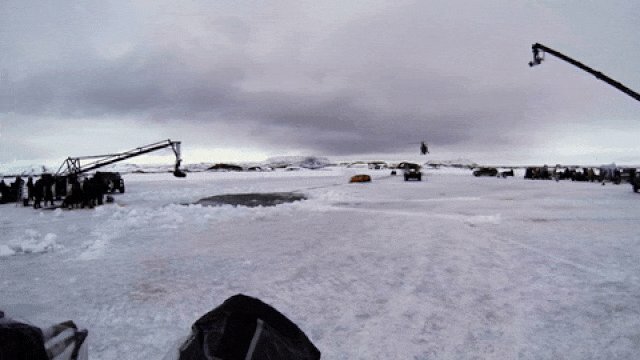 Trying to do that on a frozen lake at 50mph was quite a challenge but we made it work. Razatos: We could have done it in a lot of stages. Explosion only. Car flying only. And they could just manipulate it later. But I challenged everybody and said let's try to do this all together in one. 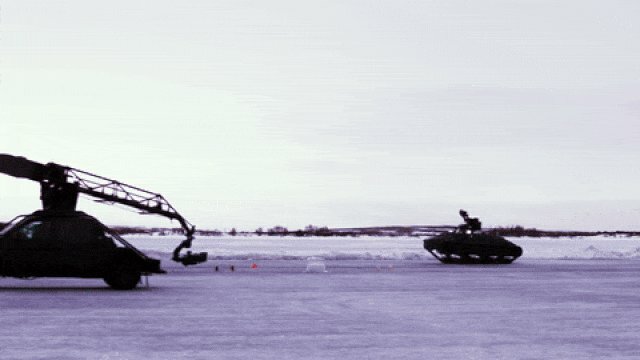 Let's really send the car up in the air and have it spin with explosions around it. Razatos: We couldn't even damage the moss, the plants. When we wanted Dom's car to go up a hill, we had to go and layer it with snow so that we wouldn't damage the moss underneath. A. Gill: You have to be ready for every gag. I've been working with Spiro for 34 years and the team that we always work with, all the drivers know each other and know how they drive and whether or not they're out of control or in control. J. Gill: In that sequence there's like 25 different stunts that we had to promo and test and that's a lot to do. It doesn't all go perfectly the first time you test it. There's a lot of things that you have to kind of figure out on the fly. That's what's great about having a team that you've worked with before, because they all kind of know how you think and how it's going to work. A. Gill: Anytime they come up with all these harebrained ideas, right off the bat, you go, "That's impossible. How are you going to do that?" But you sit down and you really break it down and go, "We can do this, let's do this." Razatos: This is obviously as big as it's ever been in my career. 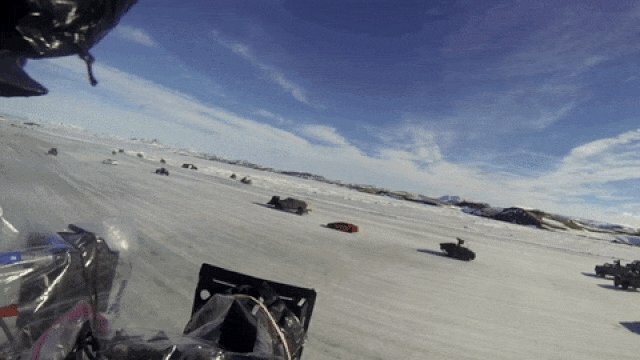 You're flipping cars, blowing cars up, and you're doing this on a frozen lake. Usually it's a challenge in 80-degree weather in a controlled parking lot [laughing]. J. Gill: If we continue to do these for nine and 10, I'm sure we can come up with bigger things than this, but they just have to keep giving us the time and the money to do it.